LibreOffice is a free power-packed Open Source personal productivity suite for Windows, Mac OS X and Linux, that gives you six feature-rich applications for all your document production and data processing needs: Writer, Calc, Impress, Draw, Math and Base. Support and documentation is free from our large, dedicated community of users, contributors and developers. You, too, can also get involved! LibreOffice is continuation of the OpenOffice.org project that was based on StarOffice, an office suite originally developed by StarDivision and acquired by Sun Microsystems in August 1999. 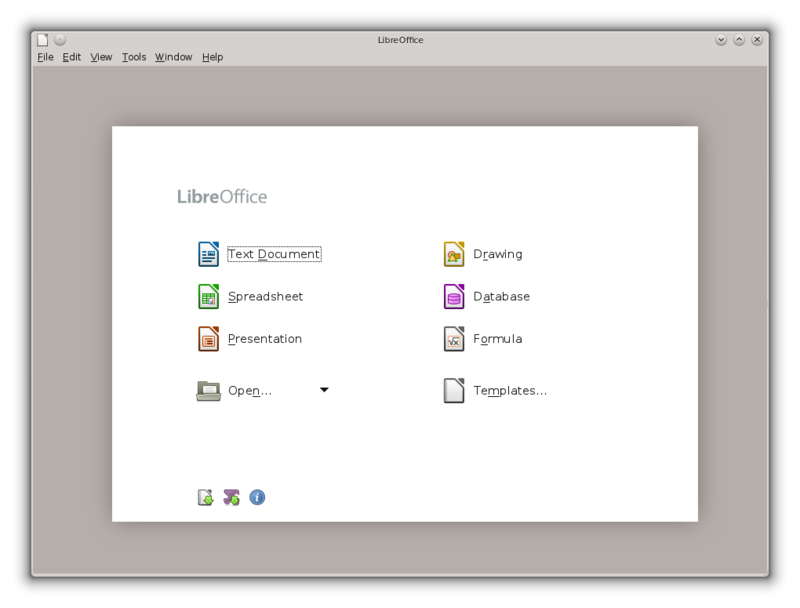 The latest build is available for older openSUSE releases in the LibreOffice:Factory OBS project. If you want to use specific branch they are maintained in OBS as LibreOffice subprojects with the version number in their name. The primary information source is the official LibreOffice site. General questions about the application usage can be best answered on the mailing list users@libreoffice.org. One must be subscribed to post messages there. It is also possible to search the mailing list archive. The best place to ask the openSUSE community is the opensuse@opensuse.org mailing list. One must be subscribed to post messages there. Also there is an archive. It is a high traffic list, so it is a good idea to mention the word LibreOffice somewhere in the subject to draw attention of the right people. Please report the bugs into the openSUSE bugzilla for the product LibreOffice. Do not forget to mention enough information about the problem. It helps a lot to make the final or future releases better. Setting the latter to "none" will remove any desktop integration. However, it will remove native KDE open/save dialogs, too! "kde" will bring back an old KDE3 style and "kde4" is the default setting on openSUSE and is the one which loads the oxygen mockup and native open/save dialog. A nice way to work around the oxygen issue is to use "gnome" combined with local ~/.gtkrc-2.0 in which QtCurve is set as default gtk theme. The price to pay is that the open/save dialog gets missed. If someone has a fix for this issue, please correct this paragraph! This page has been accessed 74,915 times.